Happy 2017, everyone! I don’t know about you, but I was thrilled to say good riddance to 2016. Even though 2016 wasn’t a bad year overall for me personally, it was time for it to go. The promo code is good through Wednesday, January 4, 2017. You’re probably wondering what my announcement is. Well, after 15 years of living in New York City, I’m moving to Washington, DC! My husband’s business is expanding there and at some point over the last six months it became clear that it would make more sense for him to move to DC than for him to commute between the two cities on a frequent basis. There was no real reason for us to keep our apartment in Brooklyn simply for me to stay here…so we’re packing up all of our stuff and ripping the NYC bandaid off. I finally attended Orchid Evenings at the New York Botanical Garden this past Saturday—and I had a wonderful time! 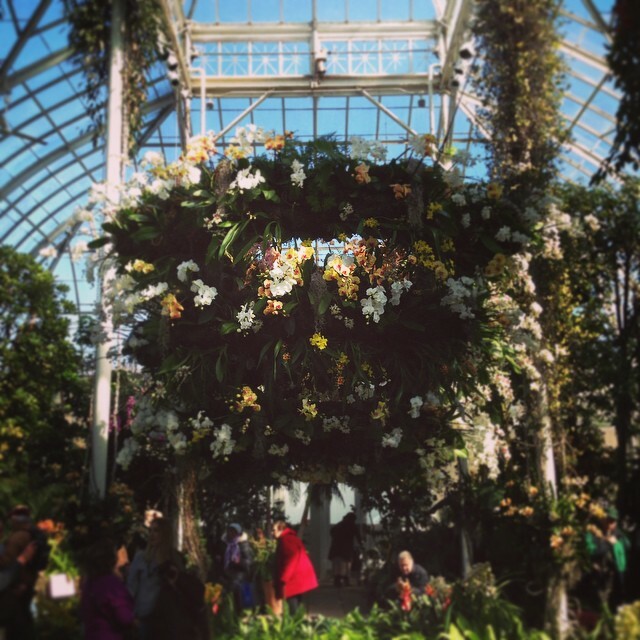 The NYBG Orchid Show: Orchidelirium is Almost Here! The New York Botanical Garden’s annual Orchid Show officially kicks off this Saturday, February 27th and I’m sad to say I won’t be able to go immediately because I’ll be on vacation (though…I’m really not sorry to be going on vacation). With each new year I get excited because to me a new year means a new Orchid Show at New York Botanical Garden! The Orchid Show is what initially started my obsession with these plants, and I’ve made it a point to attend at least once every year since I first went in 2009. Last year I even had the opportunity to attend on member preview day before the show opened to the public! When is the 2016 Orchid Show? This year it will run from February 27 through April 17. Tickets are not available yet, but you can sign up to receive ticket alerts when they do go on sale. Happy Orchid Show Opening Day, everyone! I had the good fortune to be able to attend the NYBG‘s annual show yesterday on their member preview day. My friend is a member and was allowed to bring guests, so being the resident orchid nerd of our group of friends I was a shoo-in, along with another friend who happened to be free on a Friday. 🙂 Yesterday marked my seventh annual visit to this Orchid Show! I can’t believe it’s been that long since I first attended and fell head over heels in love with these plants. I’ve already posted some photos from my visit on The Social Medias, so if you aren’t already following @brooklynorchids on Facebook and Instagram, please do so!